Campus Code of Conduct. Cornell University has standards of behavior that apply to everyone associated with the University – students, faculty and staff members, and University-registered organizations. These standards are set forth as regulations in the Campus Code of Conduct (Code). To whom does the Code apply? 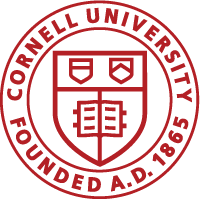 The Code applies to anyone affiliated with Cornell (faculty, staff or student), as long as the conduct is non-job related, occurs on campus, in a Greek house, or involves other property used for education, or, if off-campus, is considered serious. The rules prohibit a broad range of conduct. The Code uses systems of checks and balances to ensure a fair process to people who believe there has been misconduct, as well as to people who are accused of violating community standards. These processes are different from each other, however; each are described below. Cornell governs community conduct in order to protect and promote the University community’s pursuit of its educational goals. Cornell’s governance of community conduct is distinguishable from society’s regulation of conduct through criminal and civil laws, regulations, and ordinances. A member of the OJA first investigates cases and then tries to resolve the situation. The resolution may be dismissing the case because there is no jurisdiction or insufficient evidence. Or, it might be a recommendation for an educational sanction, such as completing community work, writing a paper, counseling, attending an alcohol and other drugs education program, paying restitution, receiving a disciplinary record, being separated from Cornell University through suspension or expulsion, or a combination of the aforementioned penalties/educational sanctions and/or remedies. Sometimes the individual charged and the OJA agree what the resolution should be, and sometimes the University Hearing Board (UHB) will need to decide if there has been a violation and, if so, what the appropriate sanction should be. The University Review Board (Review Board) hears appeals from UHB decisions. Both boards include students, faculty and staff, so the whole community has input on the decisions. Cornell’s president may hear appeals from the Review Board in cases of violence. The OJA receives a complaint/referral that alleges a violation of the Code. The OJA investigates the case. If the OJA determines that no violation occurred or that Cornell has no jurisdiction, the case is dismissed. The person(s) who claim that the Code was violated (Complainant) may appeal the decision to the University Hearing Board. If the OJA determines that a violation occurred, the JA and the individual(s) charged of violating the Code (Respondent) may agree to resolve the case informally with a “summary decision” agreement. This agreement eliminates the need for a hearing, except if the Complainant appeals this decision to the University Hearing Board. If the OJA determines that a violation occurred and a summary decision is not reached, the OJA charges the case to the University Hearing Board (UHB). The UHB holds a hearing at which the OJA presents the case and must establish by clear and convincing evidence that a violation of the Code occurred. The UHB decides whether a violation occurred and, if so, the appropriate resolution. The UHB has adopted procedures to help interpret the Code and to make hearings run more smoothly. The Respondent or the Complainant may appeal the UHB’s decision to the University Review Board (URB). When a case is appealed to the University Review Board (URB), the URB holds a hearing. The Respondent, the Complainant and the OJA all have rights to appeal. The URB can uphold or reverse a decision, modify a remedy, increase or reduce a penalty, or send the case back to the University Hearing Board for a new hearing. Except in cases of violence, the actions of the URB may not be appealed. For cases of violence, either the OJA or the Respondent may appeal a penalty. The decision of the president may not be appealed.